Since opening its doors in 1999, CBC National Bank continues to aspire to be a step above the rest. With the slogan Big Enough to MATTER, Small Enough to CARE, CBC National Bank employees treat each and every loan document like it is their very own. The manner in which we deliver our products is as important to us as the products themselves. Our staff consists of experienced mortgage banking professionals who are committed to providing extraordinary customer service, plus the convenience of a personal touch to every loan. CBC National Bank can provide you with the best innovations in the mortgage industry because we offer a variety of loan program options to meet your needs. Our employees are active members of the community that care about you and your neighbors. So if you are looking for a mortgage company with a long record of dependable mortgage banking, and an even longer list of satisfied customers, then be sure and look our way! 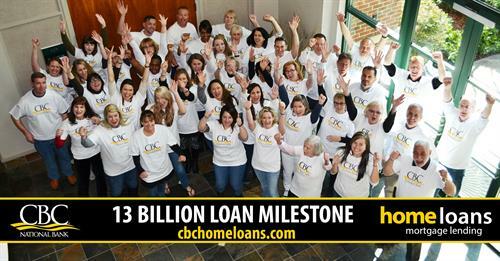 CBC National Bank offers a whole new way of doing home loans, with an attitude that is as independent as you.